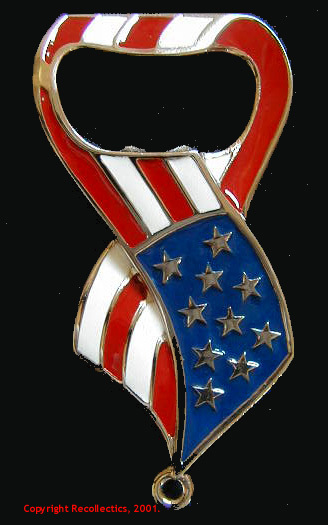 Patriotic bottle opener designed exclusively for Recollectics. Can be used on a key ring. Enamel red, white and blue paint. Available in plated bronze or sterling silver.